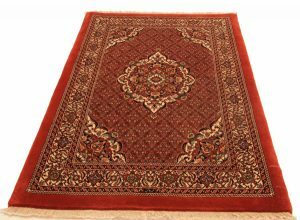 Bijar Rugs - Catalina Rug, Inc.
Made in the Kurdish area of northwest Iran, Bijar rugs are known for their unique style of construction and their distinctive weight, which makes them quite different from the typical image we have of Persian rugs. Over the centuries, the city of Bijar has been home to many different tribes, from the Azerbaijanis and Turks to the Kurds. The influence of each of these tribes resulted in a diverse weaving culture, which is represented in the distinctive styles of Bijar rugs. The most predominant features of these rugs are their construction technique and their inherent toughness, which has earned them the nickname ‘Iron Rug’ of Iran. 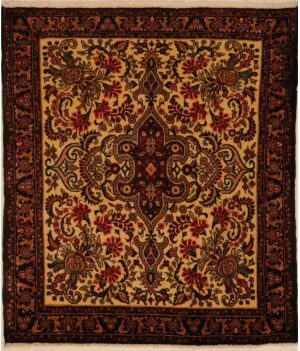 A dense, hard-working backing material against which the rugs are woven contributes to the toughness of these rugs. In addition, the knots made by the weavers are thrashed or beaten during the process. This beating and weaving motions creates a compact, heavy fabric with puffed up wool, toughening up the rug even more. 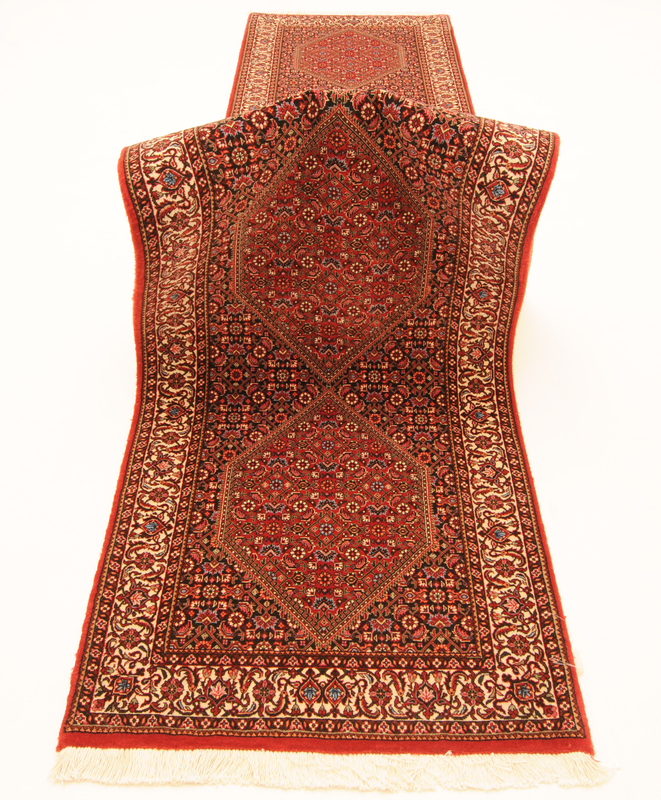 The symmetrical Turkish knot is mainly used in Bijar rugs, although in some rugs you can also see the asymmetrical Persian knot. The weft of these rugs is also unusual. The wool weft is made by wetting the material and then pulling and separating the individual strands so that parts of the single weft could be at right 90 degree angles to each other. This process coarsens the wool and gives it a unique characteristic, different from any other type of Oriental rug. 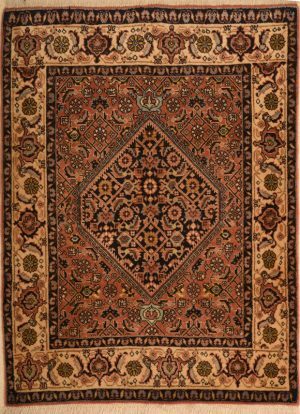 When you look at the older Bijar rugs, it may seem like the rugs have 3 wefts instead of the usual two. This is in fact an optical illusion caused by the angle of the wool. In the more modern versions, the weft tends to focus on holding the strands in place, resulting in a rug that is finer than the traditional coarser versions. The shift in the color and pattern preferences from the older rugs to the rugs woven more recently is very interesting. 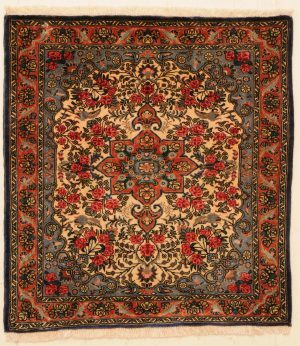 Traditional Bijar weavers decorated their rugs with curvilinear and geometric motifs in limited colors, favoring assorted shades of reds, browns, blues, yellows and whites. The shapes and colors were considered to be more attractive to men, and these rugs earned a reputation as a ‘man’s rug’. The newer styles however feature a more feminine palette of colors and designs such as roses in pink. 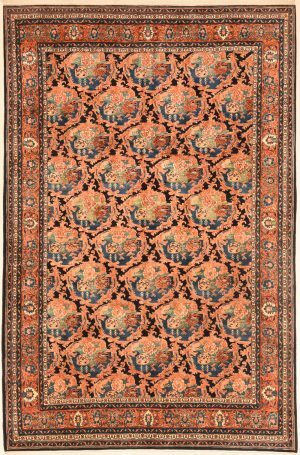 The herati motif is the most commonly used motif in Bijar rugs and it is used in the medallion layout as well as an all-over design. 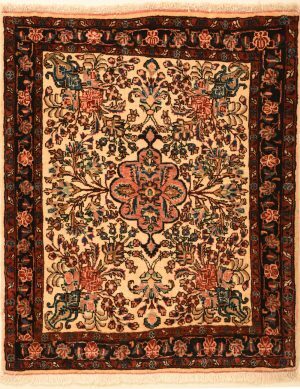 Other motifs and all-over designs used in these rugs include the boteh, gul farangi, zell-i-sultan and mina khani. 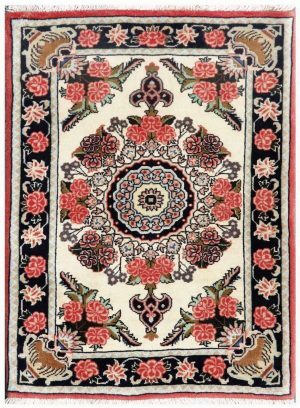 The rugs generally have several minor borders decorated with motifs. One frequently seen motif in the border is the Shah Abbasi motif. Another common pattern used in Bijar rugs consists of multiple hexagon medallions in different colors woven inside one another and becoming larger as they got further away from the center. 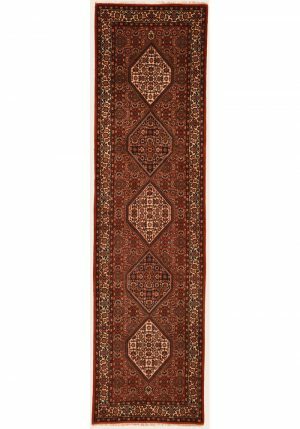 Prized for their sturdy construction, durability and unique looks, Bijar rugs are among the most sought after rugs particularly in the West.